Successfully saved Christmas Cookie Pinwheels to your Calendar. You can also save the ingredients to your Grocery List. 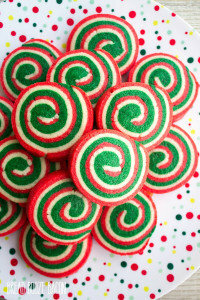 Christmas Cookie Pinwheels are a festive holiday treat that'll be the star of your Christmas cookie plate!